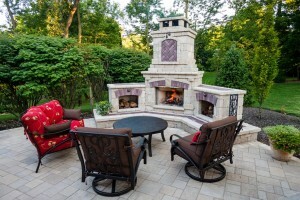 Outdoor Living & Landscaping in Mechanicsburg PA & New Cumberland PA | PA Landscape Group, Inc. Outdoor Living & Landscaping in Mechanicsburg PA & New Cumberland PA | PA Landscape Group, Inc.
Our number one goal is customer happiness. We’ve been providing superior customer services for just over 35 years of business. But don’t just take our word for it, read reviews from some of our clients below! Quality work delivered by professional and knowledgeable staff! 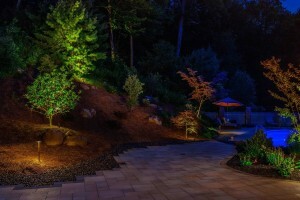 Over the 19+ years we have used PA Landscape Group for our plants, shrubs, and tree installation and care services, we have been impressed with the professional and knowledgeable staff. We frequently get comments about how lovely and cohesive our landscaping looks, and the team at PA Landscape keeps everything in top notch condition. They have delivered what they promised within the price contracted and their annual maintenance plan gives us additional value for our money. Thanks to everyone for their care for the look of our home! We hired PA Landscape Group to do some work in our yard this summer. Kevin and his crew did an excellent job! They showed up on time and were professional and friendly. We are very pleased with the finished project! We highly recommend them! Amazing! 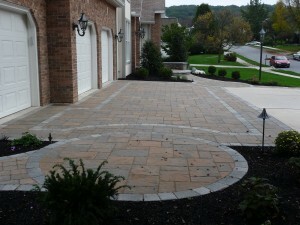 PA Landscape Group does wonderful work and their employees are skilled and knowledgeable. Very polite and easy to deal with. I highly recommend using them for your hardscaping needs. First class or no class. 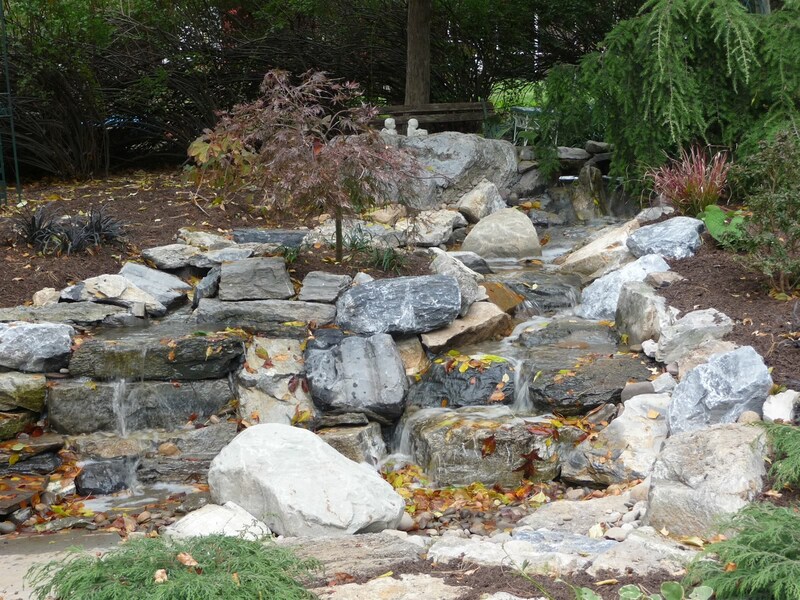 PA Landscape Group is creative, experienced and professional in all facets of landscaping and hardscape projects. As the project progressed, it was so exciting to see how adding pavers and new landscaping to the front of our home transformed it into a completely new and beautiful look which far exceeded our expectations. We sincerely appreciated working with all the PA Landscape Group staff and would never hesitate to recommend them to anyone looking for any aspect of landscaping or hardscaping to upgrade the appearance of their home. PA Landscape Group recently updated my pool and outdoor living area…they literally turned the eye-sore into the focal point. I can’t imagine a higher quality company….from the design, to the execution, to the final outcome. Completely professional, on time, on budget, and easy to work with. They have certainly earned any and all of my future business. 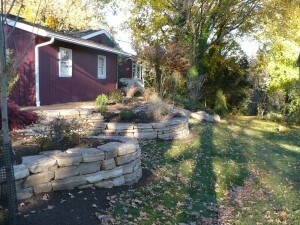 PA Landscape Group is the best landscaping company with which we have ever worked. They provide a high quality product from design to installation, in a cost-effective and timely manner. The company stands behind and delivers everything that they promise. The staff, from administrative to in the field, is very professional and personable. They are a superior company that works along side of you and your visions. I am writing to thank you and your staff for the excellent landscaping service provided yearly in maintaining our flower gardens. Many neighbors have commented on how nice our property looks and that they purposely walk by our home to enjoy the view. Your staff has undoubtedly played a significant role in maintaining the pleasant surroundings for Barbara & me and our neighborhood. They are courteous, efficient, knowledgeable, and take great pride in their work. We certainly appreciate and value the “professional” service which we have received from PA Landscape Group over the past many years. Thanks again, Tim to you and all your staff. I wanted to take this opportunity to share our pleasure in the completion of our landscape project. 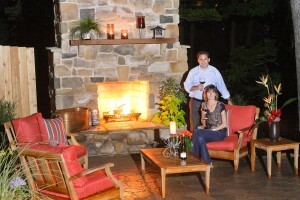 Stephanie and I have been sitting and enjoying the new deck and landscaping that was designed by PA Landscape Group. The final outcome has far exceeded our expectations. I wanted to mention the pricing of your work. Frankly, when I originally saw the contract price, I thought it was mildly overpriced, but we went with it anyway in order to get everything done. After watching what went into the project, just to do the set up for the structural elements, patio install, the man hours that went into this and the level of detail, I have come to rethink the initial estimate to be an excellent value for the work. I hope you made a profit because I will certainly call you again for our next project. Again, thank you for the help and the project. 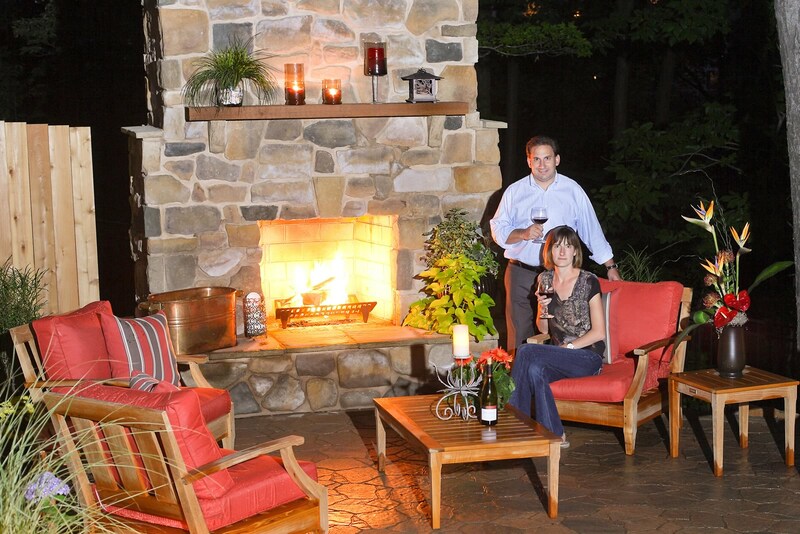 We are sitting and enjoying our yard more than we ever have and expect to spend most of the warm weather outdoors because of PA Landscape Group! We have been totally happy with everything you have done for us. It started with the day you met with me to discuss our property. You spend a lot of time listening to my ideas and the things I liked and disliked and then walked the property with me and took photos and measurements. The plan you returned to us incorporated my ideas along with many exciting suggestions from you. I could tell that you had really listened to me and designed a plan that would work well for us. The work was done as projected and done well. After everything was completed, the crew cleaned up after themselves and you could hardly tell they had been there. We had to split the plan into three years to be able to afford to do everything right and each year the work was done on time and done well. Last year I enjoyed just walking my property and sitting on the patio seeing how everything was starting to mature and fill in. It made me VERY HAPPY! The other point that I have to mention is that every time I had a question and called or e-mailed, you got back to me within a day, and sometimes even came by the house to check something yourself. That said a lot about the type and quality of service you can expect from PA Landscape Group. . . We downsized to a small property with retirement in mind but you still gave us the quality and attention to detail that a much larger job would get. We are more than happy with the results. We are thrilled with the new waterfall, it is so real. We enjoy it every evening. Kevin and crew did a fabulous job! I’m sitting in the backyard this afternoon enjoying all of the beautiful landscaping. I want to thank you and your company for all of the hard work in creating a great backyard for us. You have great employees, and it was especially enjoyable to work with you. I have used PA Landscape Group for both landscaping and hardscaping projects. They have done excellent work, on-time and on-budget every time. I give them my highest recommendation. PA Landscape Group completed several projects at both our old and our new property. We’ve had plantings, which were on the smaller scale of things and an entire patio, steps, and walkway completed by the company. Everything was beautifully done, on budget, and everyone was extremely professional. If you want your project done the right way, the first time, then PA Landscape Group is the company to go with. We would use them time and time again for any future projects. We love the work they have done for us. I have been using the services of PA Landscape Group for many years now and have never been disappointed in any aspect of their work. They have beautifully handled multiple projects over the years including planting, maintenance, irrigation and accent lighting. They know exactly which plants, shrubs, etc. will perfectly compliment your home to give it that special curb appeal that will catch the eye of everyone who passes by. I believe part of this special charm can be attributed to the variety of plants they use to ensure blooms and color will be present throughout the growing season. I frequently receive compliments regarding how nice my property looks and inquiries asking for the name of the landscaping company responsible for such nice work. I can assure you that you will not be disappointed with any aspect of your project from start to finish and beyond. Any project they have undertaken over the years has been done on time and at the price quoted and looks outstanding when finished! In today’s world it can be hard to pick and choose a vendor with so many available. But, you can’t go wrong with this vendor and I would highly recommend their services to anyone. 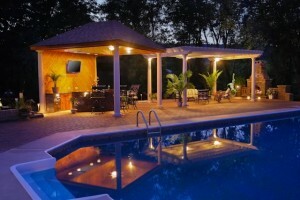 We have received many compliments on our backyard from friends and other professional service workers. The work was completed as promised and always in a neat and professional manner. Everyone was always easily available for any questions, ideas and follow-up inquiries. I cannot express enough how happy we are with your design and the work performed by the PA Landscape Group team. We regularly receive compliments from passersby and neighbors on how nice our property looks. I look forward to visiting with you to hear your ideas for the back of the house. Thank you again for your great ideas and the fine work of the PA Landscape Group. I really enjoy working with you and your staff. The laborers working on the job were the best! I don’t think you could find a better crew anywhere. The project more than exceeded our expectations. Just a first class operation from start to finish. The plant material (trees in this case) turned out to be superior quality. 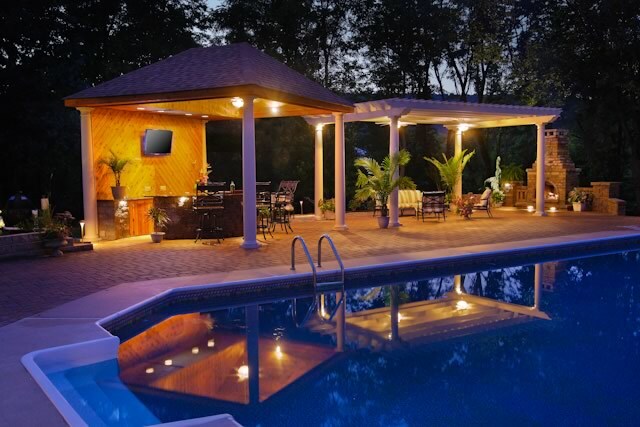 Cathy and I are happy to report on our experience with PA Landscape on replacing our retaining walls and deck system around our in-ground pool. From our first contact with Brendan Hoover at the beginning of the project, I knew we had selected the right contractor. After his first look at our property and listening to our ideas and looking at a few rough sketches, he developed a complete 3D computer model of the proposed new construction. I was impressed with that level of sophistication, especially from a relatively small contractor. During the actual construction, Brendan always seemed to be available to discuss minor changes to the original layout. His attitude was always helpful and positive and, in fact, I could say the same thing for his work crew, especially the crew chief Kevin High. The attention to detail by the crew and the final appearance of the finished project were equally impressive. In my job with Gannett Fleming, we closely monitor client satisfaction. At a minimum, we have to meet the client’s expectations. Our goal, however, is always to impress the client by “exceeding expectations” so that we will be selected to provide additional services, or be recommended to others for the same purpose. We would definitely place PA Landscape Group in the “exceeds expectations” category. We just wanted to let you know how happy we are with the service provided by the PA Landscape Group. Your service from start to finish has been exemplary and on a professional, knowledgeable, yet friendly level that far exceeded our expectations. We want to thank John Otterson for the magnificent design to make our new pool a “Vacation Spot” and Brendan Hoover and his team who made the design a reality. Nothing ever seems to be too much trouble for you to do and you made us feel unique, never feeling that we were just one of many clients that you and your office had to deal with each day. This letter is being written to commend you and your staff on the quality of the business you are conducting. John Otterson worked with us in creating a design plan and made several visits to our home before the final decision was made. After signing the contract with your firm, John took a special interest in keeping us informed as to the time frame when the plantings would begin. Brendan came and ran the conduit under the driveway for the lighting before the final coat of macadam was laid (even though our job was not on the scheduling board yet). We were so pleased with the workmanship of Rob and Kevin. When Kyle, Brian and Keith came to assist them there was no time wasted when they were working and they were all very courteous, polite and very aware of being respectful to everything on our property. Please share this letter with your employees as they need to know that they are representing PA Landscape Group, Inc. with integrity and “first class” workmanship. In closing, we thank you and your staff for a job WELL DONE!! Thank you for standing behind your company image and fixing the paver patio. Your attention to this situation is greatly appreciated. The new application looks real nice. Would you please tell us about your experience?